This is a collaborative project with New York University and the Ohio State University to measure sub-ice shelf ocean temperatures and ocean dynamics. 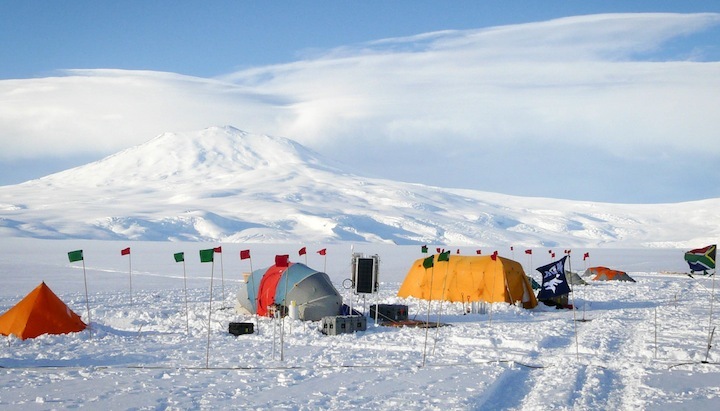 Ice shelf dynamics and melting are currently challenging to measure, with no continuous monitoring system yet designed to function over-winter. 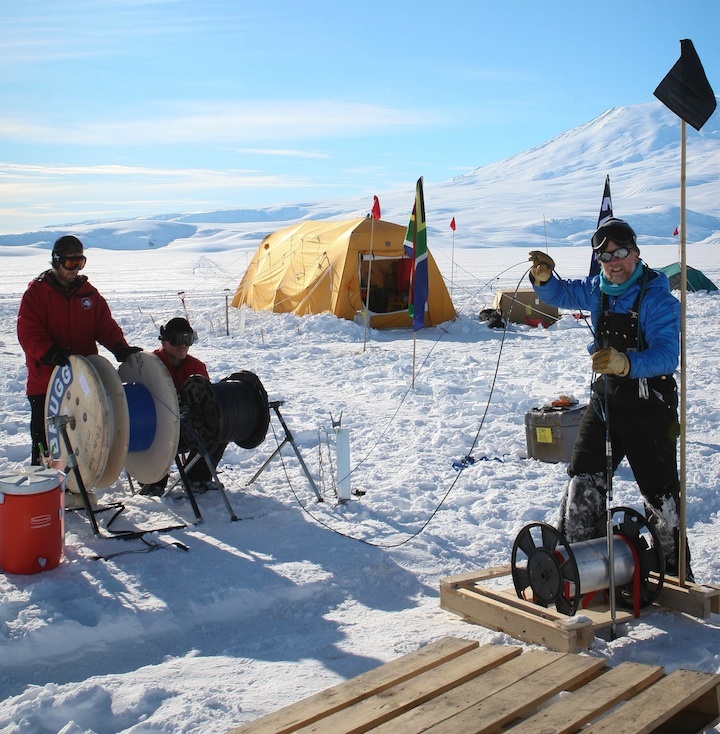 Using low power DTS systems and novel hot-point drilling methods, we successfully deployed an over-winter set of moorings beneath the McMurdo Ice Shelf. Stern, A., S. Tyler, V. Zagarodnov, M. Dinnimin and D. Holland. Mode three intrusion of warm surface water beneath the McMurdo Ice Shelf, Antarctica. 2013. Jour. Geophys. Research-Oceans. DOI: 10.1002/2013JC008842. Tyler, S.W., W., D. Holland, V. Zagorodnov, A. Stern, C. Sladek, S. Kobs, W. White, F. Suárez and J. Bryenton. 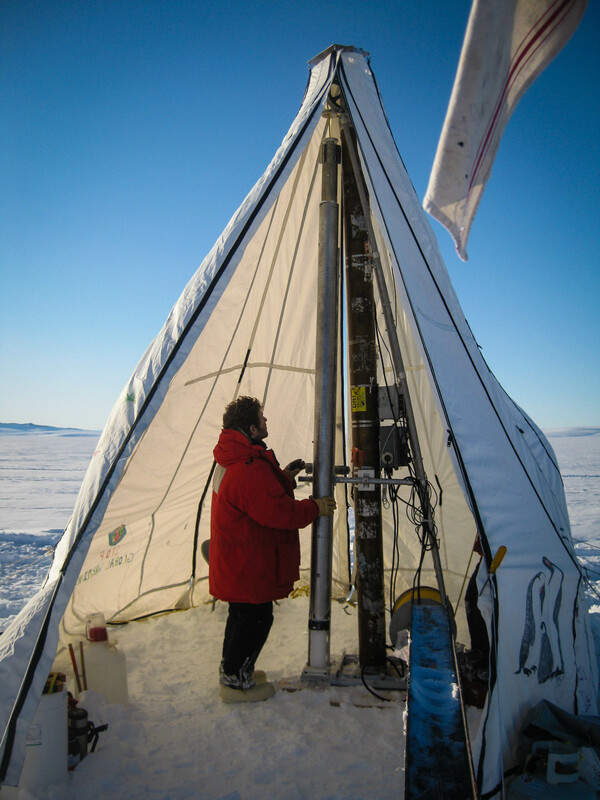 Using Distributed Temperature Sensors to monitor an Antarctic ice shelf and sub-ice shelf cavity. 2013. Jour. Of Glaciology. DOI: 10.3189/2013JoG12J207. Graduate Program of Hydrologic Sciences University of Nevada’s premier educational program in hydrology and water resources. CUAHSI Supported through NSF, the Consortium of Universities for the Advancement of Hydrologic Science, Inc. provides data services and community support. John Hem Award for Excellence in Science and Engineering Scott Tyler received the John Hem Award for Excellence in Science and Engineering at the 2013 NGWA Groundwater Expo in December 2013.